Freezing temperatures often leave skin dehydrated and a little TOO rosy. But what if we told you the remedy to your complexion woes can be found in one of our products? That’s right -- raw honey is the remedy! Although we are of course partial to our own, we consulted some experts on how our very own raw variety can solve your skin problems. We even got some recipes that you can make at home--from simple masks for everyday use to rigorous scrubs for acne-prone skin. You can use the recipes below (courtesy SB Skin) as a simple face wash, or by applying as a mask for 10-15 minutes. 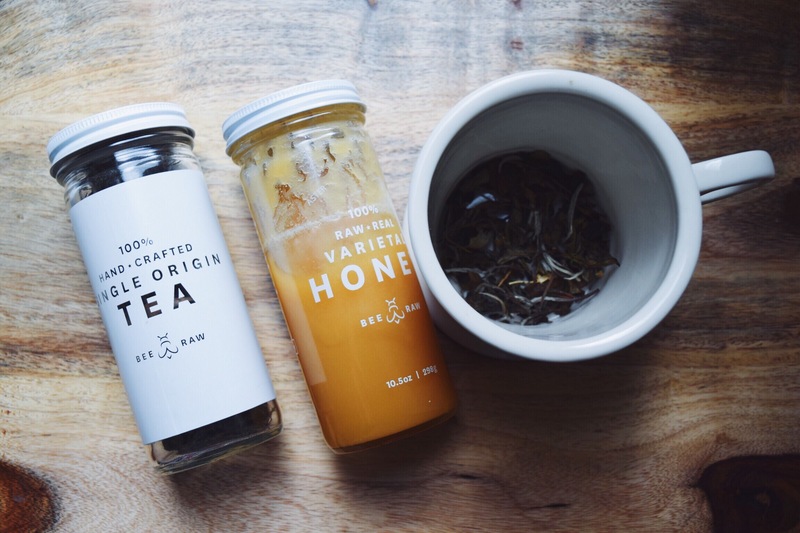 Honey isn’t the only skin saver we sell--tea can work wonders too! For centuries, herbalists have recommended tea to moisturize and rejuvenate skin, and for good reason. Herbal teas such as chamomile have anti-inflammatory properties, reducing the skin irritation that seems inevitable during winter months. An added bonus? This cleanser smells like a dream, but you can play around with the essential oils to create your own scent. Then use daily on your face to restore a healthy, hydrated glow. Luckily, making your own, all-natural tea-based cleanser is super simple. All you have to do is mix the below ingredients together and add the essential oil as the last step! Do you have a favorite remedy for winter skin irritation? Any other uses for honey or tea? Let us know in the comments below, and cheers to a healthy complexion!